Fall in love at first sight with this beautiful 1927 colonial residence at the corner of Fessenden and 44th Streets in American University Park. Renovated and expanded with a two story rear addition, this 4BR/3.5BA home is flooded with light at every turn. From the welcoming front porch to the spectacular family room and expansive owner's suite, you'll luxuriate on four finished levels of living space. 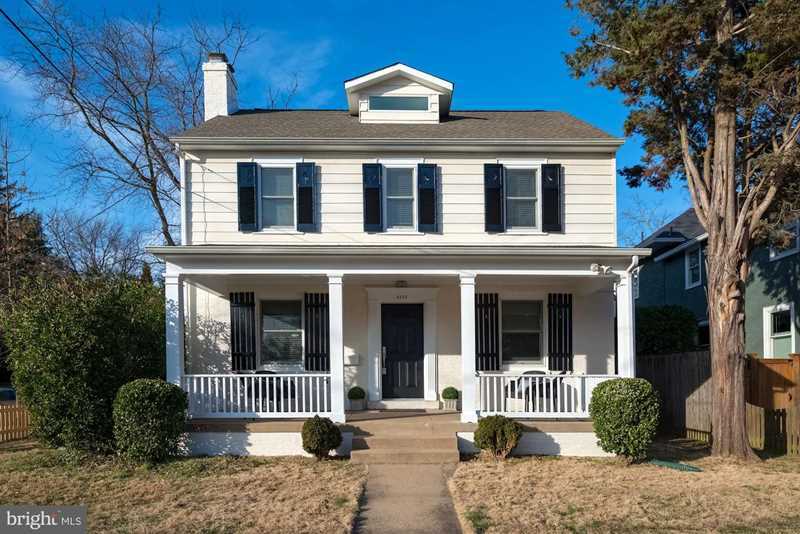 This is the perfect AU Park home-- close to all of this coveted neighborhood's many amenities and a short distance to Janney, Deal, Wilson, and Georgetown Day School. Welcome home! Directions:North on Wisconsin Avenue, Left on Fessenden to 4355. North on River Road, Right on 44th Street to corner of 44th & Fessenden. SchoolsClick map icons below to view information for schools near 4355 Fessenden St NW Washington, DC 20016.